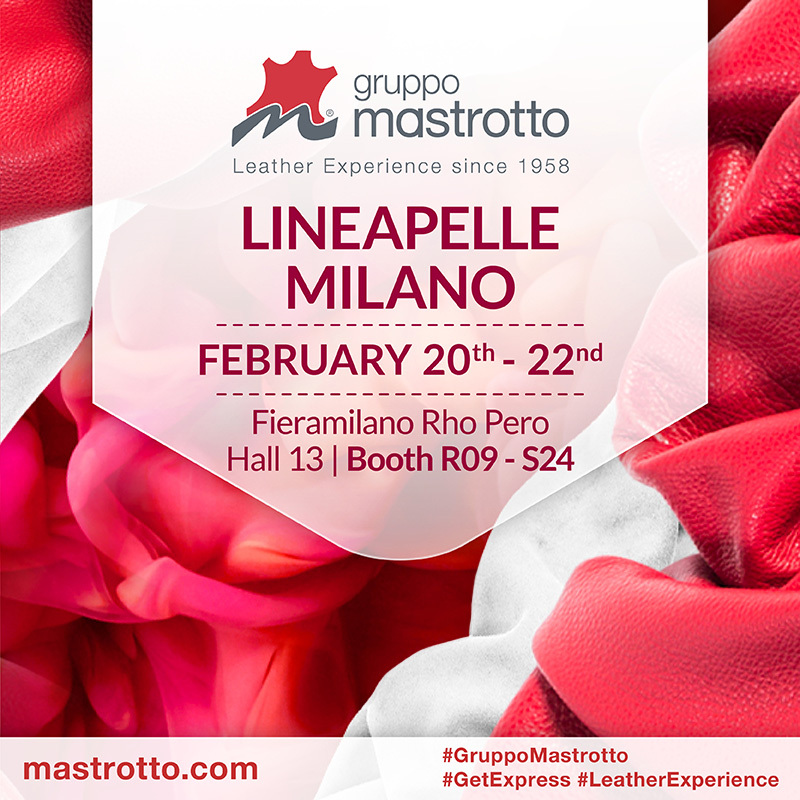 Change is in the air at the Gruppo Mastrotto stand for Lineapelle Milano, the most important international exhibition, dedicated entirely to leather. Creative proposals, meant to inspire, will be presented by Gruppo Mastrotto from February 20 to 22 at Fieramilano Rho Pero: solutions designed not only for leather goods and footwear, but also for upholstery, automotive, aviation, boat and garment. Stepping into the Gruppo Mastrotto exhibition space, designers will be able to feel and discover the new Spring Summer 2019 collection, fresh and pastel nuances, with an elegant and sophisticated design. A collection able to inspire, that anticipates the fashion trends for the spring summer 2019 season for leather goods and footwear. Gruppo Mastrotto launches the new TrillColors collection for leather goods and footwear, full grain nappa, semi-shiny look and slightly transparent in 28 colors, always available in prompt delivery thanks to Gruppo Mastrotto Express. New embossings, innovative and impactful, to increase the range of proposals of the collection Embossings on VesuvioColors: 18 embossings on soft suede leather, available in 120 nuances. Furthermore, over 20 collections will be displayed, dedicated to leather goods, footwear, automotive, upholstery and contract, aviation and boat, as part of the Gruppo Mastrotto Express service, always evolving with more than 1.100 colors, in prompt delivery, available also in small quantities and able to satisfy the need for a fast delivery and flexibility.